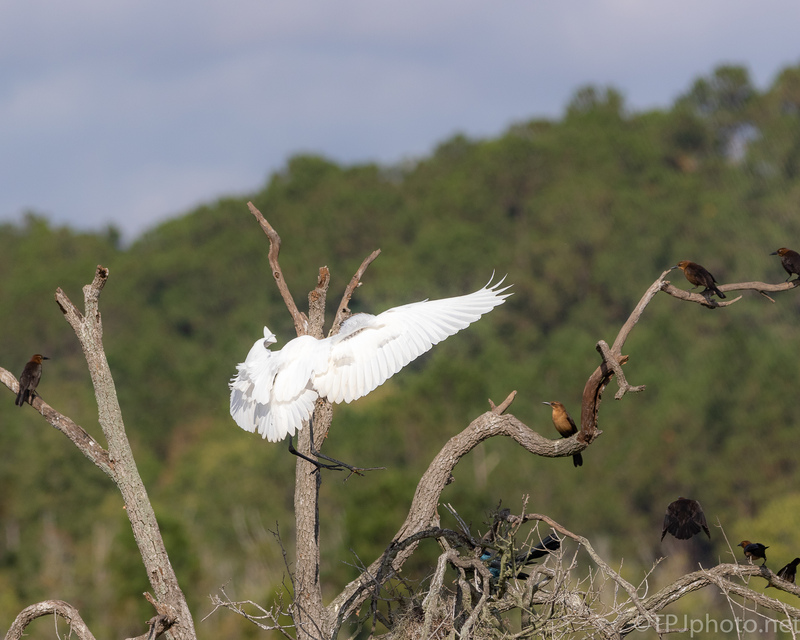 When I saw the Great Egret coming in to land I thought it would be a nice shot, the Grackles scattering from the big bird. Well, that didn’t work. In fact the Grackles all came up to the branches to meet the Egret face to face. They had the advantage in numbers. Eventually it was an uneasy stand off.